Forte ring shows strength and structure. 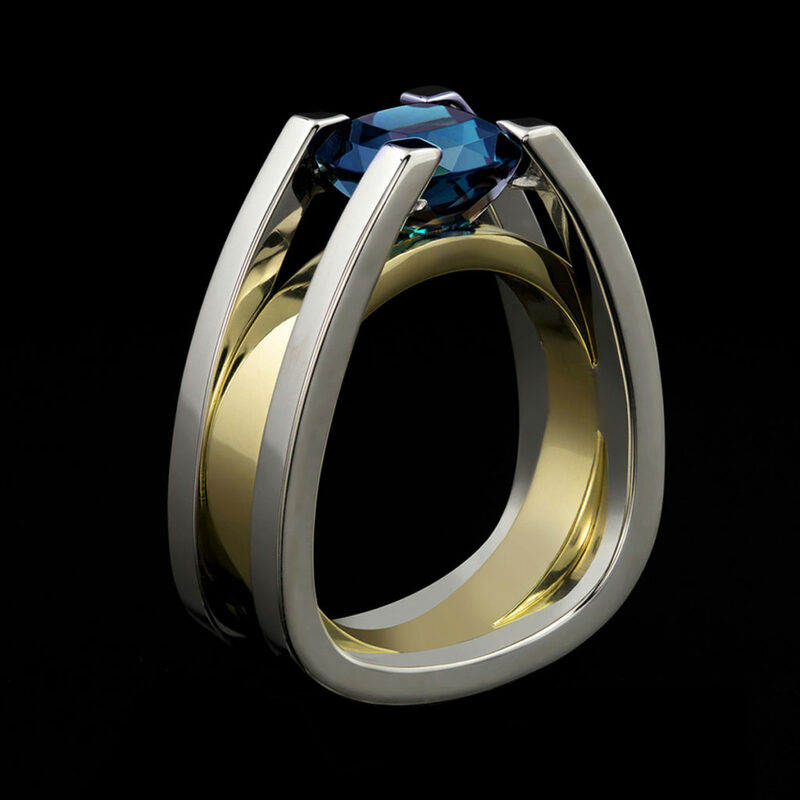 This architecturally inspired ring suspends a dazzling 4.37 ct deep blue tourmaline cut by Stephen Avery suspended in 14kt white gold with yellow gold accent. To purchase, call (949) 715-0953 or use our contact form below.